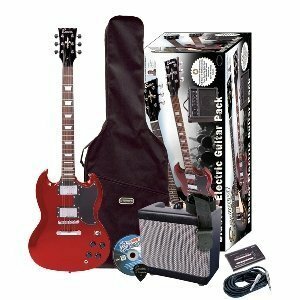 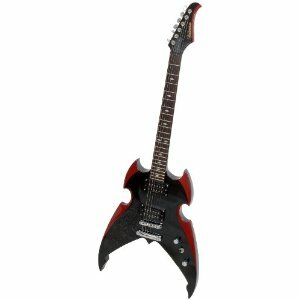 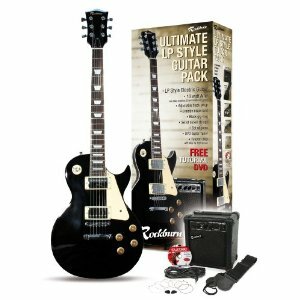 Includes small electric guitar, amp, cable and pick – everything needed to get started! 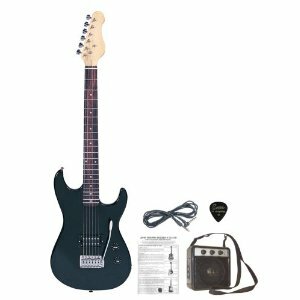 The ever-popular Encore E1BTROFT model of beginners guitars has been the go-to guitar for children looking to learn guitar for years. 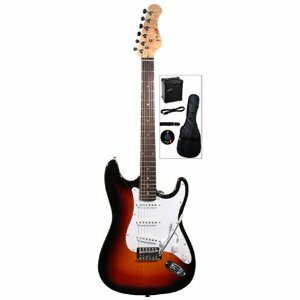 The small-scale guitar is extremely light and comfortable to hold, which makes it perfect for small children, but is also strong and sturdy enough to withstand any bumps or scrapes. 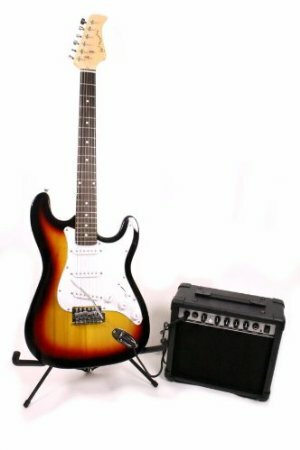 The included amps comes with a headphone jack so that children can learn without worrying about making too much noise.